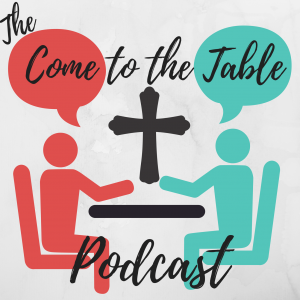 The Come to the Table Podcast – Love in action is listening to understand, not to react. I met Rudy Giecek through the Mixed Mental Arts Podcast group. He has a successful podcast of his own, The Cascade Hiker Podcast centered around the old tried and true outdoor activity of hiking. His story is one of humility and self-awareness as he may have grown up hiking but it wasn’t until later in life that he rekindled and discovered his love for trekking through the woods. However, he’s much more than a hiker and podcaster but a man dedicated to his faith, his family and friends. Our first episode featuring Jim Sanders was about race. During our conversation, he mentioned a seminal book The New Jim Crow by Michelle Alexander and I felt motivated to read it. After I did I reached out to my friend Isaiah Gooley from the Mixed Mental Arts community to see if he would like to discuss the book itself. The book is an extremely important piece of literature in regards to understanding American Culture. This is our conversation about it. I found it impossible to pack in even one conversation with Liam Breunle into a single episode so here is the second half of our conversation. Stereotyping others is a flaw we all suffer from both from others and from our own hand. Liam is scientific evidence that fighting stereotypes are worth the effort. I reached out to him after he started following the podcast on from his Instagram account and encourage everyone to follow his burgeoning career! It seems to be in our very nature to stereotype others for a variety of reasons. How does this stack up when a person is the embodiment of a stereotype but it isn’t accurate? How do we deal with the shattering of these images? What does it tell us about ourselves. Liam Breunle started following the podcast on from his Instagram account. When I realized it wasn’t a random travel blog or hair product account farming for followers I took a look around his profile. Former WWE wrestler. Stand Up Comedian/Actor. Former Accounts Receivable with the Italian Mafia. Add in he looks like the picture perfect Biker and stereotypes were made but something seemed potentially off. I dug deeper, looked around and with a little tug at my heart to motivate me I reached out to him and invited him to have a conversation about stereotypes.